BEIJING - Jack Ma, the charismatic co-founder of China's largest e-commerce firm Alibaba Group Holding Ltd, will step down as chairman in exactly one year on Sept. 10, 2019, the company said. 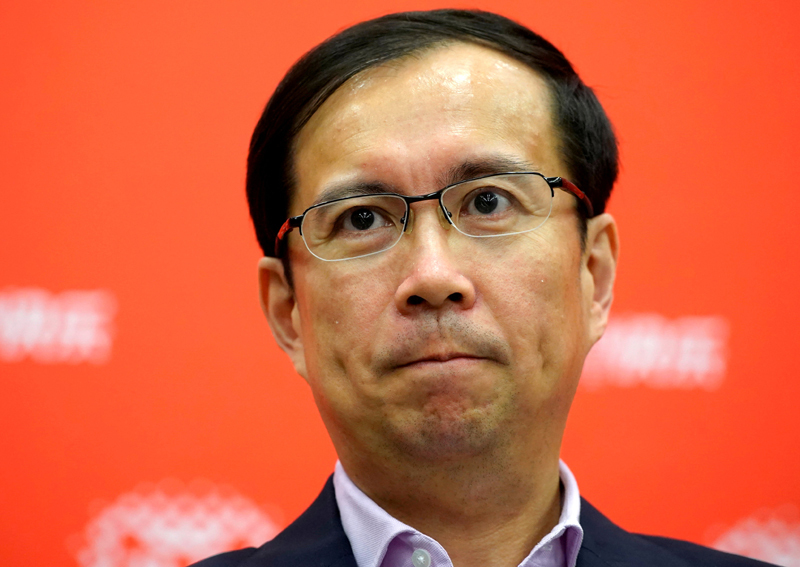 Current Alibaba Chief Executive Daniel Zhang will replace him as chairman, while Ma will complete his current term on Alibaba's board of directors following the company's annual general meeting in 2020. Ma relinquished the role of chief executive in 2013. Zhang, 46, has been in the job since 2015 after serving as the company's chief operating officer. Ma, who turned 54 on Monday, will continue to mentor senior management as part of an advisory board called the "Alibaba Partnership". Zhang, 46, previously served as the company's chief operating officer. He is known as a key architect of Alibaba's "Singles Day", the Nov. 11 event that has become the world's largest online shopping event. "I will work closely with Daniel to ensure a smooth and successful transition," Ma said in a letter released by the company. Ma, who co-founded Alibaba in 1999, is one of China's richest people with a net worth of $36.6 billion, according to Forbes while the company has grown to have more than 66,000 full-time employees and market value of some $420 billion. A former English teacher with no technical background, Ma has a large popular following in China and is seen as an icon of self-made wealth.